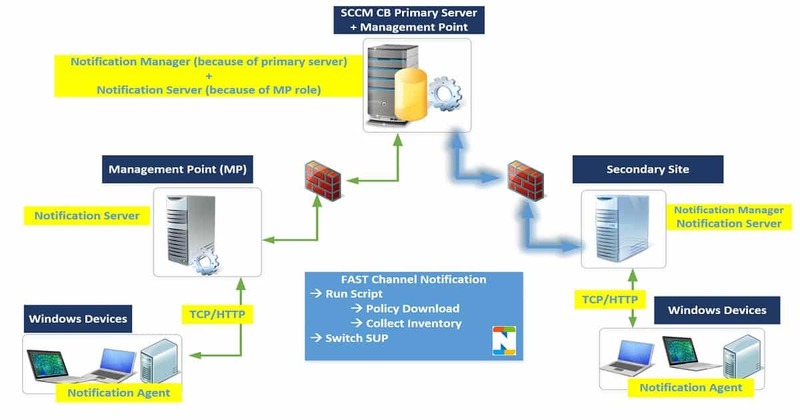 Fast channel architecture changed the entire behavior of SCCM. Now it’s not at all a slow moving server(SMS). You can make it run as fast as you can. The SCCM CMPivot Queries can be based on supported entities of each version of SCCM. 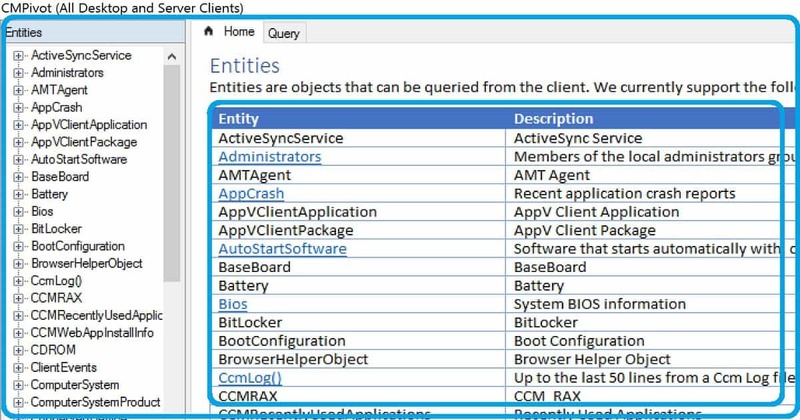 Entities – this is what Microsoft calls the querying objects of each SCCM client. More details about SCCM 1810 Improvements and what is new with CMPivot is available in the below section. Are you interested to see the first version of CMPivot? 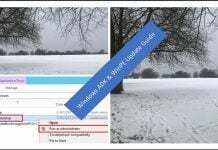 Following is my post SCCM CB Preview version 1805. 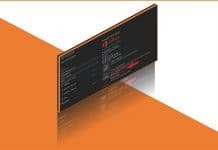 How CMPivot Works in the Background? How to Run Query in SCCM CMPivot? 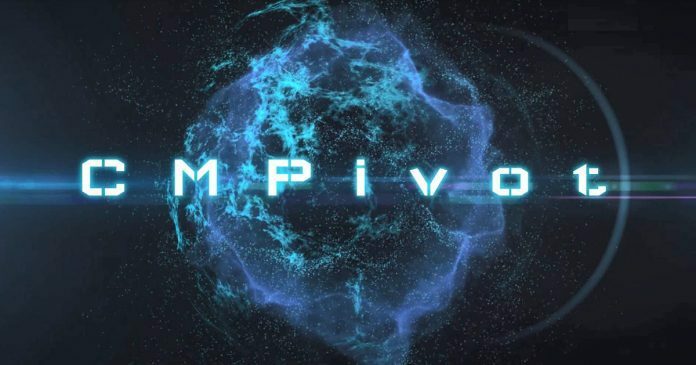 What are the Actions you can launch from CMPivot? Make sure you are running the latest version of SCCM client and CMPivot (SCCM console). SCCM security permissions required to run CMPivot as Microsoft documented here. Also, SCCM client devices should require PowerShell version 5.0. 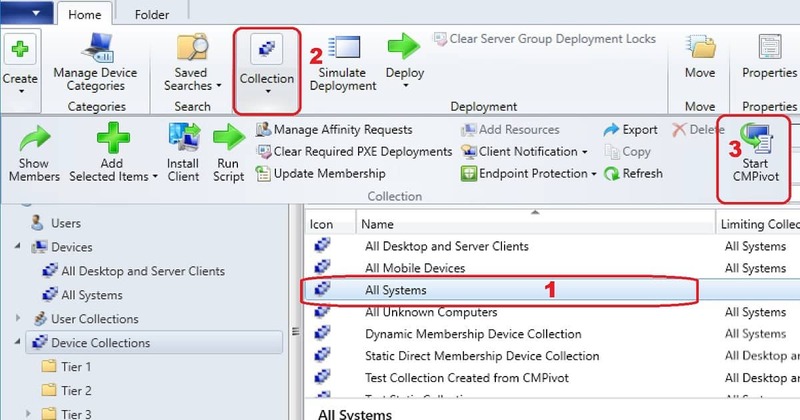 The Start CMPivot action doesn’t appear in the console when it’s connected to an SCCM CAS site. The architecture of CMPivot is based on fast channel architecture. There are two steps in a very high-level architecture flow. 4. A CMPivot Query will try to connect to machines which are not online for an hour. This retry happens only when CMPivot window is open. The following picture is he architecture flow of fast channel which I explained in the fast channel notification post. In the SCCM CB 1806 or later console, go to the Assets and Compliance workspace, and select Device Collections. Select a target collection, and click Start CMPivot in the ribbon to launch the tool. CMPivot gets open as a different window. The CMPivot pane on the left lists the Entities that are available on clients. Some entities rely upon WMI while others use PowerShell to get data from clients. Insert: Add the entity to the query at the current cursor position. The query doesn’t automatically run. This action is the default when you double-click an entity. Use this action when building a query. Query all: Run a query for this entity including all properties. Use this action to query for a single entity quickly. Apart from querying the online devices in almost realtime, what are the other actions you can take directly from CMPivot? Well, you can see some handy options are available for you. 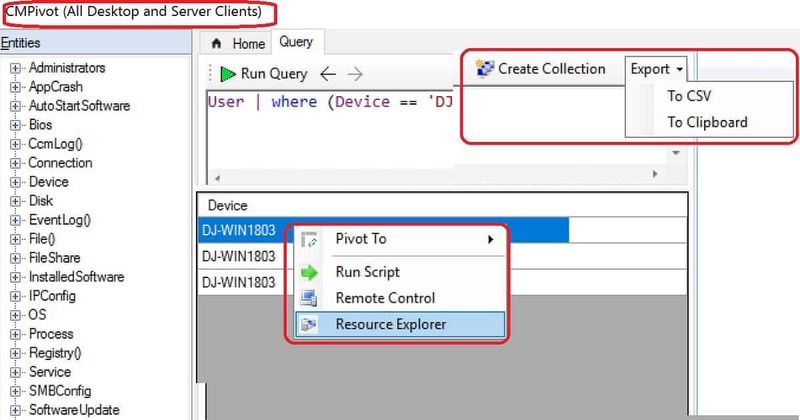 The SCCM CMPivot results pane displays the data returned by active clients for the query, and you have some right click options as I mentioned below. The available columns vary based upon the entity and the query. Click a column name to sort the results by that property. Right-click on any column name to group the results by the same information in that column, or sort the results. Right-click on a device name to take the following additional actions on the device. OK. So the communication channel of CMPivot is same as SCCM fast channel. 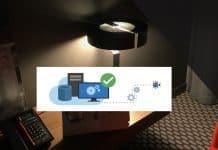 I would recommend reading my previous post to perform deep-dive troubleshooting of CMPivot issues. Apart from that log files are good friends of SCCM admins all the time, and for CMPivot also it’s the same. Make sure your basics are correct or not. Check out the request id at the right bottom side of CMPivot windows. 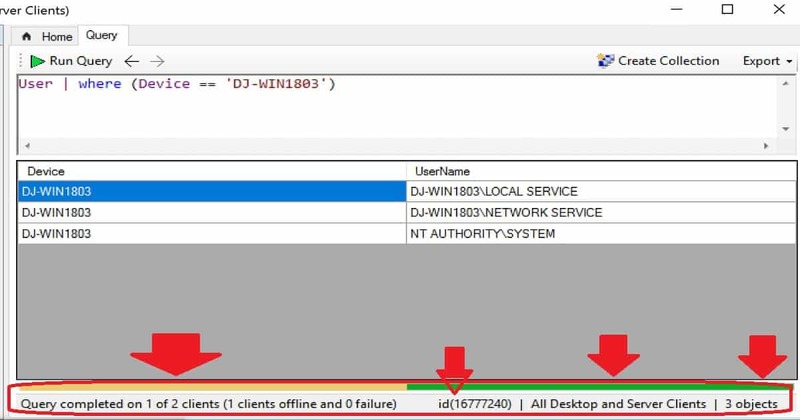 This id will help you to troubleshoot via log files. Check out the collection from which you initiated the CMPivot at the right bottom side of CMPivot windows. Following are some of the log files which you want to look at when you have trouble with CMPivot. CMPivot Entities – these entities are what Microsoft calls the querying objects of each SCCM client. I hope this list will grow with newer releases of SCCM CB. 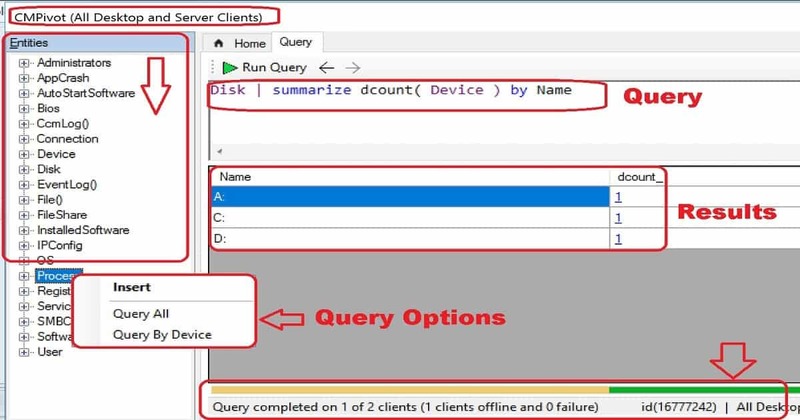 Sample queries you can try with SCCM CMPivot.